If you’re looking to pick up the best budget headphones for gaming under $50, then this is the list you need to read. 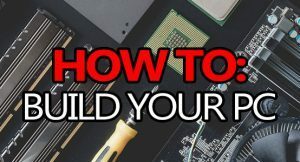 Audiophile-grade over ear are generally going to give you the best experience when it comes to gaming, so that’s what we’re going to stick to. Your gaming experience is almost effected as much by what you hear, as it is by what you see. That’s why having a good audio setup is pretty much necessary if you want to enjoy most games to their fullest. Is it actually possible to get good headphones for under $50? Definitely! No, you don’t have to spend insane amounts of money on something like the HE1000s, because there are a few really awesome pairs of over ear headphones that would work perfect, depending on what you need. To avoid any kind of confusion, I’m going to clear the air about the differences between “headsets” and “headphones”. 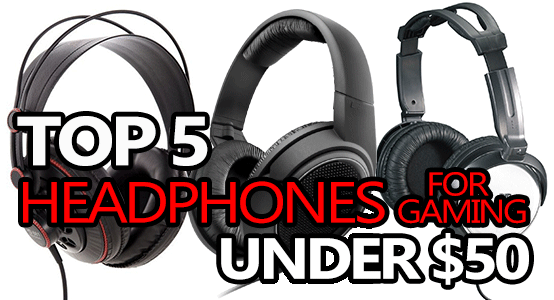 This page features the best budget headphones to use for gaming, and not headsets. If you want a headset, you can find them on this page. Both headsets and headphones have their own pros and cons, and either can be great depending on what you need, and what your budget is. But, with headphones you’ll always need to buy a third-party microphone like the Antlion Mod Mic 4.0. 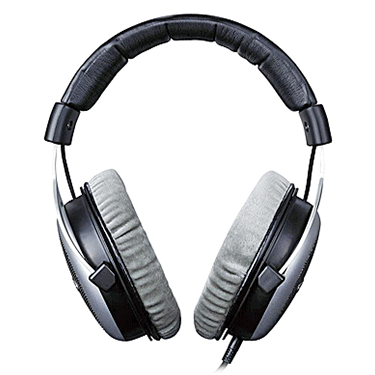 There are essentially 2 build designs when it comes to over-ear headphones, you’ve got open back, and closed back. In my opinion, one isn’t necessarily better than the other, it’s more about what you need. But others tend to agree that open back headphones are the way to go. 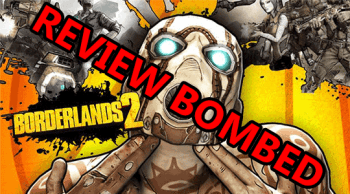 Open back headphones are generally better for FPS games, or those times when you need a wide sound stage to more accurately pinpoint movements, explosions, gunfire, and things of that nature. 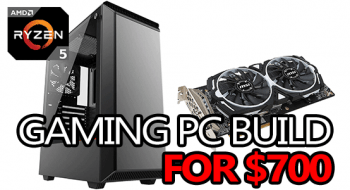 These are definitely what you want if you’re into games like CS:GO, or any of the survival sims like Rust or DayZ. Pretty much anything where hearing other players first might just keep you alive that much longer. Closed back headphones are better if you’re gaming somewhere loud and you want complete isolation from the world around you – or if you’re trying not to disturb your roommate with annoying sound leakage. 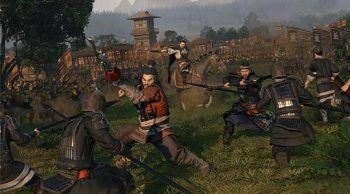 They also immerse you into whatever you’re playing a bit more, and I like them for RPG type games like The Witcher 3. 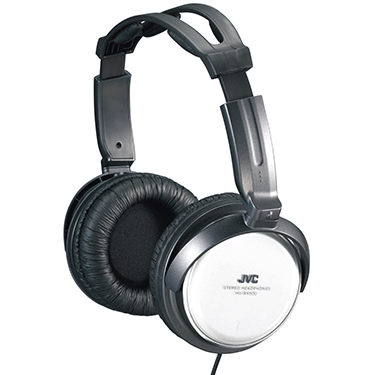 The JVC HA-RX500 headphones are definitely some of the cheapest & the best over ear headphones that you can get. Coming in at just over $20, it’s hard to beat the price of these cans, and they still deliver a full-range audio experience – even if they are closed back. The HA-RX500 utilizes 40mm speaker drivers and delivers a great dynamic range of 10 – 22,000 Hz. 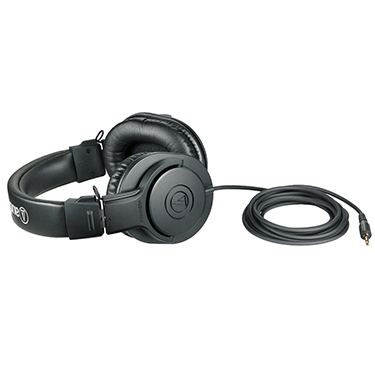 They deliver a rich sound-stage and because they are closed-back headphone, can be comfortably used in loud atmospheres. I found them relatively comfortable during extended uses, they’re actually some of the more comfortable headphones that I’ve tried, even when compared to cans upwards of $100. I also really liked that the ear cups swivel, which I think really helped make these extra-comfortable. One drawback is definitely the 11ft non-removable cord. 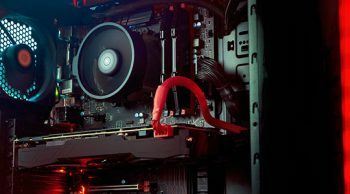 99% of people only need 3-5′ when it comes to PC use, and you’ll find yourself keeping 75% of this massive cord wrapped up – or in a big tangled knot. 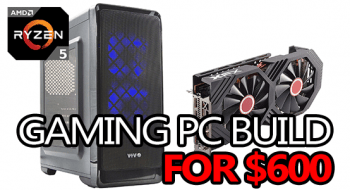 When it comes to getting A LOT of bang for very few bucks, the HA-RX500 (and RX300) are awesome choices for the budget-minded gamer. Pairing these with a solid budget-level mic could definitely set you up for audio @ under $50. Another good option at this level is the Sennheiser HD 206. Sennheiser has always had a reputation of making some of the best headphones on the market, and the HD 429 offer up the same well-known and high-end level of quality, comfort and design. These closed-back cans utilize high end 40mm speaker drivers which deliver crystal clear sound and colorful highs and lows. Although the dynamic range isn’t quite as wide as the HA-RX500, the difference is essentially unnoticeable. 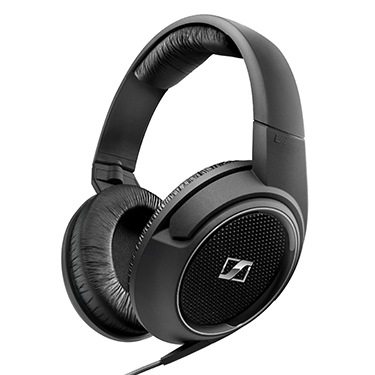 Sennheiser headphones are generally some of the most comfortable you can get, and the HD 429s are no exception. They are built almost entirely out of plastic, which makes them fairly lightweight, but it also makes them somewhat less durable than a metal reinforced pair. If you’re looking for a premium level of quality while keeping your budget down, these HD 429 headphones from Sennheiser are definitely worth considering! 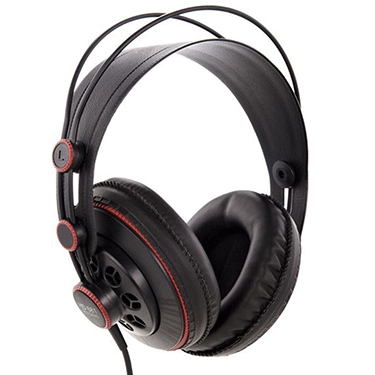 They work well with the Antlion Mod Mic 4.0, and could easily beat out most $100 gaming headsets for sound quality. 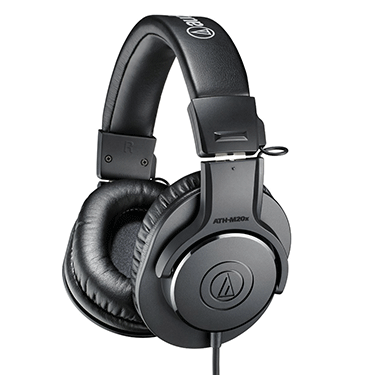 Audio-Technica’s ATH-M20x headphones are a perfect example of balanced build quality, performance, and a great price for what you’re getting – which is an awesome pair of headphones for under $50! The M20x is a closed back headphone that’s equipped with high-quality 40mm speaker drivers that are tuned to enhance low-frequency performance; this basically means you’re going to get awesome sound quality at pretty much any audible level. These cans share a similar design with the rest of AT’s M line of headphones, only these ones don’t fold away like higher models will. The ear cups swivel a bit (15°) in both directions, which helps to deliver a better overall fit. They’re constructed with a combination of durable plastics and lightweight metals, making them more durable than an entirely plastic alternative. The headband and ear cups on the M20x both utilize a super-soft leather-like material, which again allows for a more comfortable experience, especially after you’ve been wearing them for a while. All-in-all, the ATH M20x headphones are a balanced choice if you’re in the market for some awesome closed back headphones that are going to work well for PC gaming. The Superlux HD 681 were an extremely surprising pair of headphones, and they definitely blew me away by offering up a lot more than I anticipated from a $30 pair of headphones. They HD681s offer up the widest frequency response range on this list by spanning between 10Hz – 30,000 Hz, which is going to help accentuate those highs and lows, but unfortunately the mids from these cans are slightly recessed – just barely. They’re also open backed and offer an absolutely massive sound stage, allowing you to pinpoint gunfire from half a map away. Free-floating headbands are usually something that I am not a big fan of, but Superlux actually did a pretty decent job with the HD 681’s, and it turned out really comfortable – for just a strap of leather. The ear cups were also a fair bit more comfortable than I initially assumed, they fit over my ears perfectly but the foam was a little stiff at first. When it comes down to price vs. performance, you really can’t beat the Superlux HD 681s. They easily offer up the best performance for around the $30 bracket, and could definitely beat $100+ gaming headsets for sound quality. Takstar might be a brand you’ve never heard of, or maybe you have. Either way, they make the Hi2050 headphones, which definitely are the best for gaming under $50 – as long as you’re gaming in a semi-quiet area. The open back Hi2050 headphones utilize awesome 53mm speaker drivers that richly captures the full spectrum from deep bass to crisp highs. 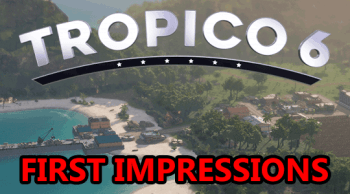 They deliver a full and accurate sound stage that really helps in pinpointing enemy footsteps and the like. The overall sound quality is easily compared to headphones in the $100+ range. The design might not be the most aesthetically appealing to some people, but the Hi2050s are constructed with high-end plastics and lightweight metals that ensure longevity. The velour ear pads are definitely some of the most comfortable stock pads that are out there, but pretty much any replacement pads will fit the Hi2050s. All-in-all, these headphones are easily the best you can get for under $50, especially if you’re in the market for a solid open back pair. 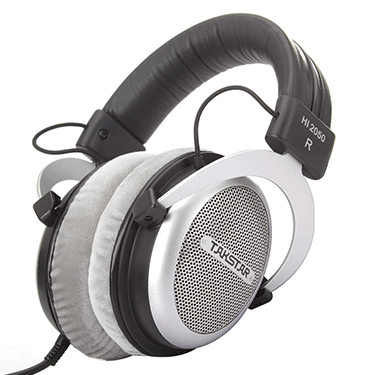 The massive sound stage and great overall sound quality of the Takstar Hi2050s is pretty hard to beat, even for headphones in the $100 range! When you pick a pair of headphones to use for gaming, you’ll also need a third party mic like the Antlion Mod Mic 4.0. Or you could also just get a USB-based standalone mic that sits on your desk, whatever you need. 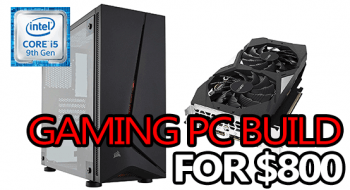 When it comes to enjoying your PC gaming experience, you absolutely need a decent audio setup or chances are you won’t really enjoy many games. This list puts out our top 5 audiophile-grade headphones that will also work well for gaming, the only other thing you would need is a semi-decent mic. At the end of the day, you don’t have to spend an arm and a leg to enjoy your audio experience, and $50 is definitely enough to get you setup with some decent cans. Even if you only have $50 and you need headphones & a mic, but you don’t want a gaming headset, it’s still very much possible. are there any good alternatives around the same quality and price (50$)? 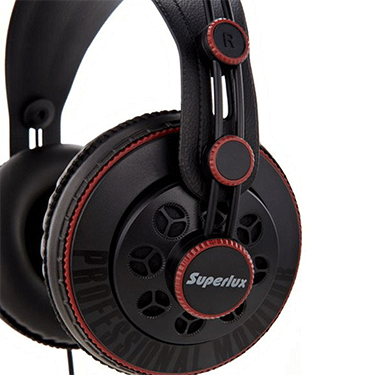 Or are Superlux HD 681’s the best alternative’s or do they not match the quality at all? Do you know if these sound better then the HD 681’s, and are they more comfortable? They must have gone out of stock and the price you’re seeing is a third-party reseller trying to move them for much more than they’re worth.